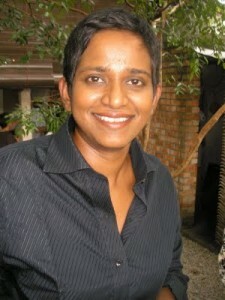 Shamini Flint is a Malaysian lawyer of Indo-Ceylonian origin who, after a brilliant legal career in Malaysia, Singapore and Great Britain for more than ten years, writes children’s books and detective novels that take us to Bali, Kuala Lumpur, Singapore, Beijing and for the latter, London. Ovidia Yu is widely known in Singapore, as a theater writer, as a feminist and a gay rights activist. She has successfully published three detective novels immersing us into the culture of the Straits Chinese. The Peranakan culture, beautifully illustrated in 2010 by an exhibition at the “musée du Quai Branly” in Paris, is the result of a successful marriage between Chinese immigrants and Malay traditions in both Malaysia and Singapore. Barbara Ismail is American, her novels tell us about Kota Bahru, northeast of Malaysia near the border with Thailand. She learned Malay and then from 1977 to 1982 she studied the Kelantan dialect and had a thorough knowledge of local customs and shadow theater (Wayang Kulit Siam). Only one thing brings them closer together, gastronomy, at least Inspector Singh and Aunty Lee. Singh is a Singaporean Sikh policeman with his turban, shorts, sports shoes and a taste for beer and curries. Singh does not get along well with his direct leader, a Chinese, who has little appreciation for his methods and dress and seizes every opportunity to keep him away from Singapore. 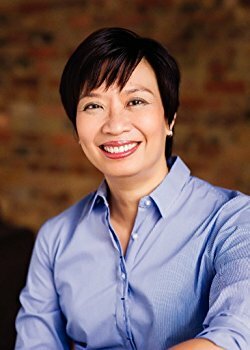 In her three novels, we find her husband’s memories very present, his two children, Nina, her Filipino assistant, and Cherril, an ex flight attendant who assists Aunty Lee. The major authors of detective novels are good analysts of social or political realities in Asia as elsewhere; for example, major themes of Shanghai’s evolution are analyzed masterfully by Qiu Xiaolong. This is less true for our three novelists who may be cautious with sometimes aggressive censorship in Singapore and Malaysia. Barbara Ismail in “Princess Play” (1) tells us about Rahim, who takes refuge in Thailand to get married. It is astonishing that this sensitive point is not developed: it is an area which, for historical and religious reasons, is a problem area on both sides of the border. It is also surprising that the role of the PAS fundamentalist party, which has led the province for many years, is not addressed. After “Shadow Play” and her shadow theater company, “Princess Play” focuses on several exorcism operations, “main putery, princess play” conducted by a local Bomoh, healer and sorcerer. Arranged marriages, the weight of traditions and families, the role of sorcery, are evoked brilliantly, but this novel is too long and in its last pages turns a little in freewheel with many protagonists who accuse themselves of the murder of Jamilah! Ovidia Yu with “Aunty Lee’s Chilled Revenge” (2) talks about murders related to a association in Singapore (“Animal Re Homers”). 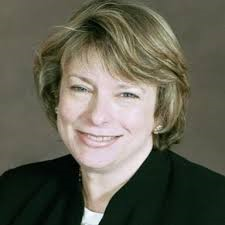 In her previous books, she evokes a group that develops organ trafficking. She portrays several homosexual couples, which makes it possible to criticize the policy of Singapore, very repressive, at least in the laws, on the subject. Shamini Flint did not hesitate to tackle some delicate problems, notably in “Murder in Malaysia” which evokes the exploitation of the Borneo forests, corruption and the growing role of Islam and Islamic courts. Similarly “Infamous in Singapore” was not friendly for lawyers, expatriates and the Singapore police. 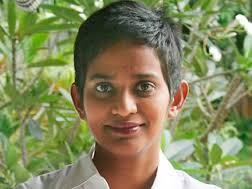 In her latest novel, “A frightfully English execution” (3), she talks about political problems of the day, communitarianism, jihad, Islamism, but in London and not… in Malaysia. 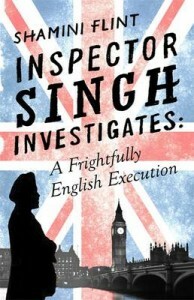 Indeed, Inspector Singh is sent by his boss Chen to an international conference in London on police and its relations with ethnic minorities. His wife accompanies him to meet members of his family whom she has not yet met. Singh is still surprising, he’s going to look at a murder that the English police has not been able to elucidate for five years and we’re going into the Pakistani community with its arranged marriages, its law of silence and jihad with its fighters and its funding. The role of the Finsbury Park mosque is discussed, as is the “Tablighi Jamaar” movement, which controls a significant part of the mosques in England and seeks to re-Islamize the disinherited immigrant populations with serious risks of drift (as in France in Lunel). In Kota Bahru, Inspector Osman could not complete his investigations without the support of Maryam and the merchants of the market. He comes from southern Malaysia and hardly understands the Kelantan dialect or the strong local customs. But he is good-natured and is clever enough to acknowledge the help he gets. In Singapore, Aunty Lee is a great support to police officers of Malay origin with whom she has confident relations especially if they tolerate her interventions in the investigation. As for Singh, he provides us with a not very brilliant portrait of the British police but improves his own image by showing us that, if he is often exasperated by his wife, their relations are close and he cannot forgive himself for having her put to danger. In short, three very different novels, which are read with pleasure, even if they are often too long. The novelists explain with talent and without burden to the Western reader what it is necessary to know in order to understand a little the local culture even if sometimes one is, like Ovidia Yu, a little too complacent. (1) Barbara Ismail, “Princess Play,” Monsoon Books, Singapore, 2013, 270 pages. (2) Ovidia Yu, “Aunty Lee’s Chilled Revenge,” William Marrow, 2016, 340 pages.